The cold winter weather has set in and they are even calling for flurries tonight. 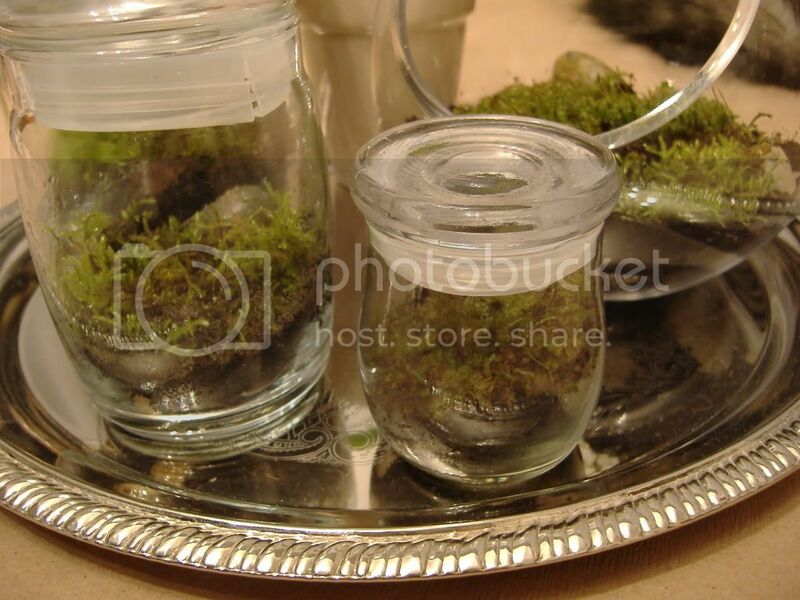 What better time to make a mossy terrarium. 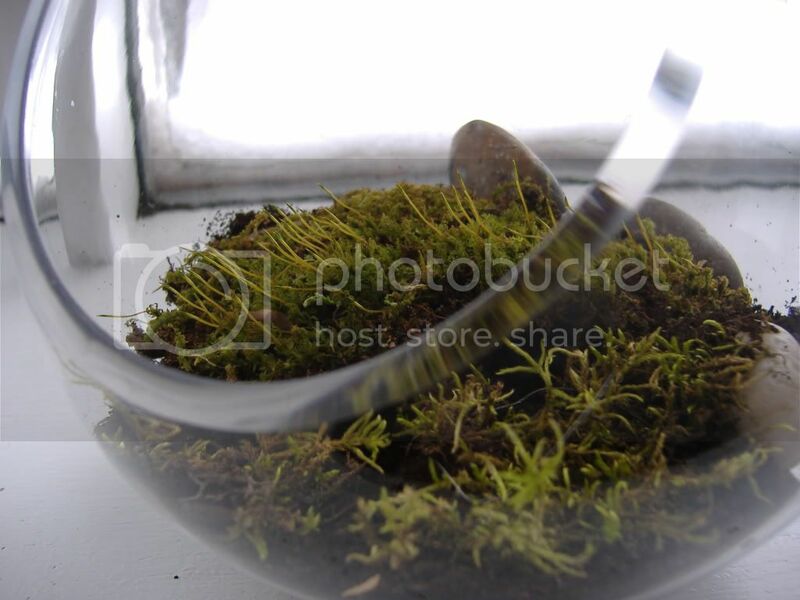 I did a post on my love of terrariums a few weeks ago, and have since longed to make one. There are a few people on my Christmas list who love to take care of a garden, so I'm giving them a little piece of green to keep them company. On a nature walk by the river a few days ago, we finally found an abundant supply of moss!! My boyfriend scooped up a bunch and we searched the house for glass containers. 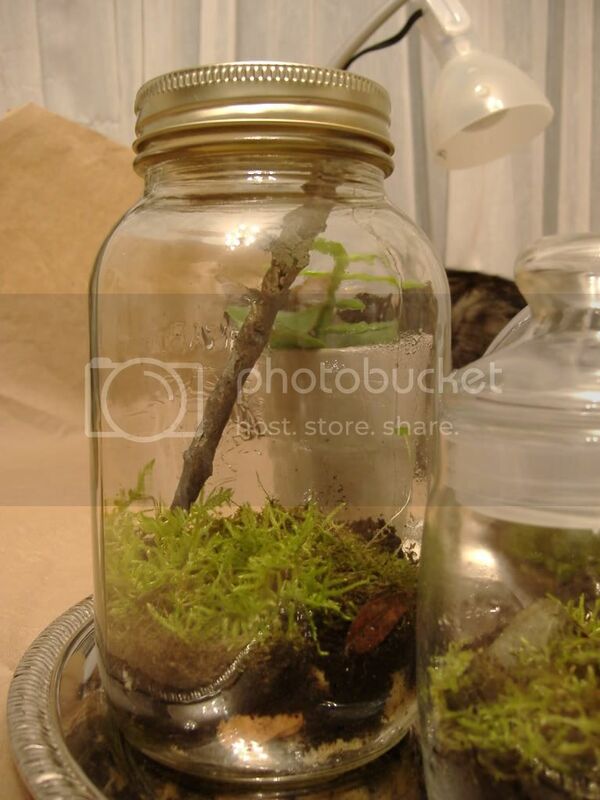 Terrariums are sooo super easy to make, give it a try and you too can enjoy some greenery while everything outside is a winter wonderland! 1. Clean your glass containers!! 2. 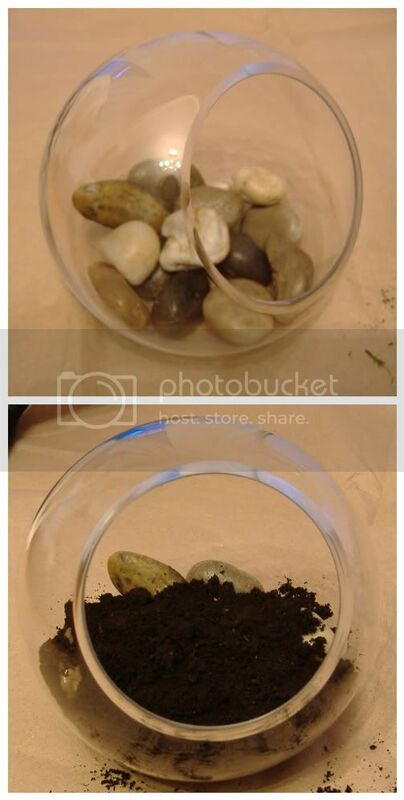 Put a layer of rocks on the bottom for drainage. Then a layer of dirt. 3. Dampen the soil with the spray bottle. 4. Gently place the moss on top of the soil, make sure it sits flat on the dirt because any parts that are not touching may not grow. If you do want some hills or elevation in the terrarium, make it a gradual slope. Spray down the moss again.Voila, see its easy!! Because this is an open terrarium, I'd keep an eye on it to make sure it doesn't dry out. Moss likes it moist. 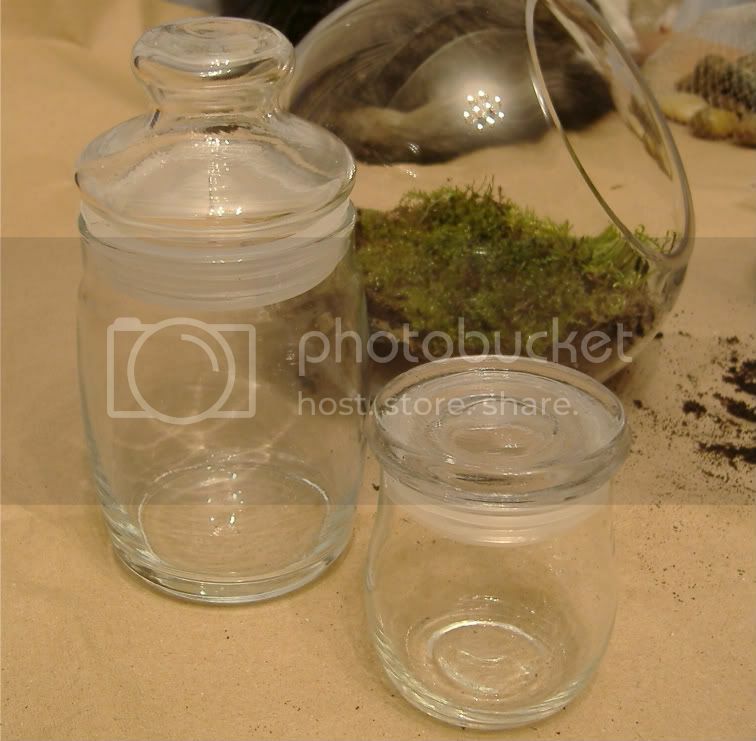 We had a few extra tiny containers, so I also made a couple mini-terrariums. These 2 have lids to help maintain the moisture level. The open terrarium will need more watering than the others. Because of my love of trays...what better way to show off my new terrariums than a silver tray! 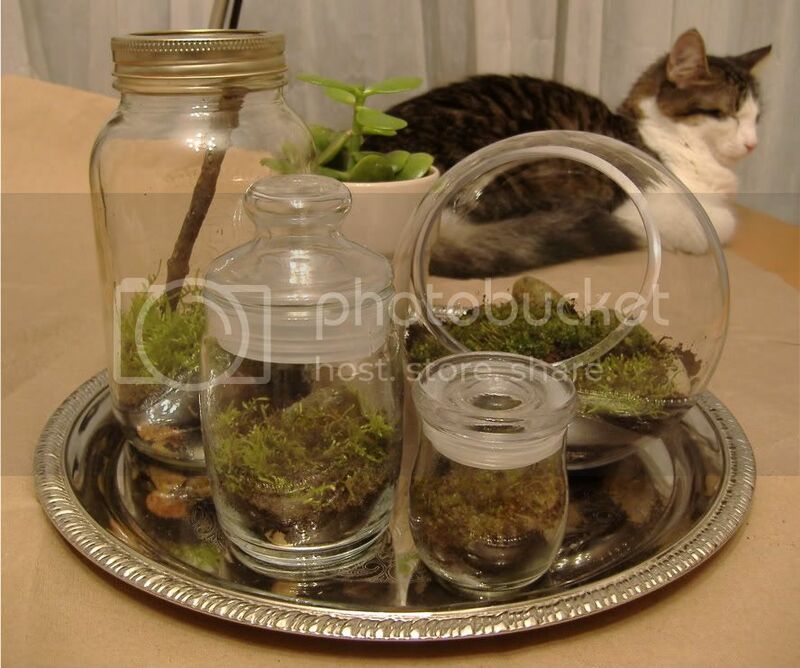 Meeka also enjoys terrariums & trays, of course! 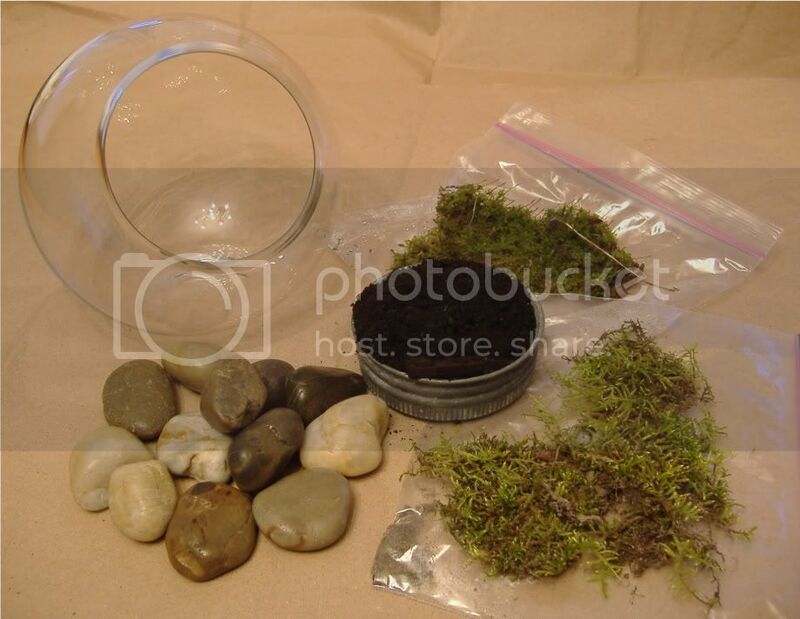 If you start early enough, terrariums are great Christmas gifts for people on your list. 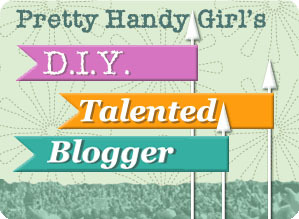 They are too easy to not give it a try yourself, for whatever reason! A couple of people on my list will definitely be getting one of these on Christmas Day.